Kekula passed away in October 2013. 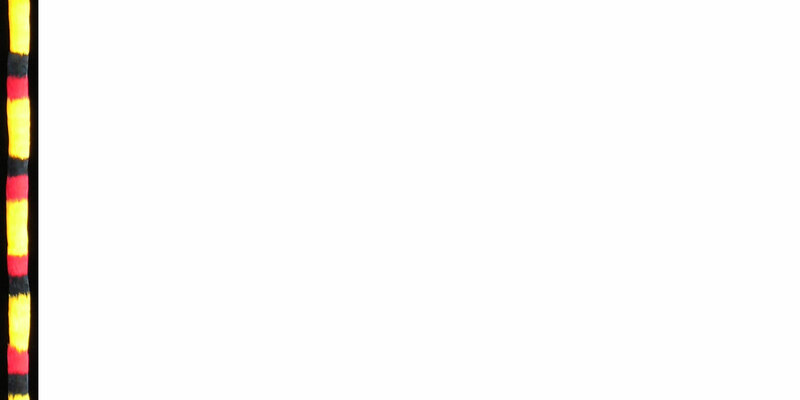 Her message below is preserved from the time when she was activley making lovely lei hulu. I learned the craft of Lei Hulu, Hawaiian feather lei making, from my mother and another kumu (teacher) when I was young. I make two different styles of lei. With the wili poepoe, the feathers are placed so they stand up, making a fluffy effect. With the lei kāmoe, the feathers are placed lying down against each other, creating a very smooth, velvety feel. I use goose feathers that are custom dyed to mimic the colors of the original native birds (see below). Each feather is individually wrapped and tied with aloha and joy. The feathers are sewn around a core of yarn, with ribbon attached at each end for tying. 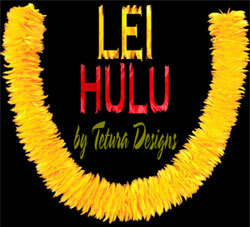 Lei hulu can be worn around the neck, head, or as hat-bands, and may be worn by women and men. Historically feathers symbolized royalty and nobility and were worn only by the Hawaiian ali'i. Today they can be worn by anyone with a love for beautiful craft and a respect for the Hawaiian culture. These leis are heirloom quality pieces of art, and while not being worn they can be displayed, for example in frames or koa display boxes. I hope you'll enjoy wearing them as much as I enjoy making them. Also see my tips for wearing and caring for feather leis below. When the early Polynesians first settled here (in Hawai'i), they brought with them some knowledge of featherwork. Throughout the Pacific Islands we see other cultures with feather articles... For example, in New Zealand, the Maori had feather capes, the Marquesans had feather headdresses, and the Tahitians and Samoans had feather ornaments. However, nowhere do we find such an intricate and highly developed technique of featherwork as we do in Hawai'i. Traditionally, feathers were gathered from native birds including those shown. The Hawaiians who understood and worked the forest regions where these birds lived were careful not to over kill the bird populations. It is known that Kamehameha instructed them to harvest the o'o birds' rare yellow feathers without killing the birds. Specialized bird catchers, po'e hahai manu, spent long months in forest habitats, catching their elusive prey with fiber nets, nooses and even bare hands. Sap from the breadfruit tree was applied to the limbs of trees that desirable birds were known to favor. Once a bird was caught, the bird catcher softened the adhesive with kukui oil and plucked the needed feathers. Since only a few treasured yellow feathers could be gathered from under the neck, wings and tail of the o'o and mamo, these birds were set free, but so many red feathers were gathered from the 'i'iwi and 'apapane, that they were usually killed and eaten. The birds, once abundant in Hawai'i, are largely gone now: the mamo, o'o and 'o'u are extinct; the 'apapane is rare and protected. Today, goose feathers are dyed to resemble the colors of the original native birds. Bird paintings by F.W. Frohawk. Because the feathers are directional, a lei will tend to rotate around the wearer's neck as it is worn, so it is a good idea to attach the ribbon with a safety pin in the back. They can also be displayed in a frame or a koa display box with a glass lid, or in a hutch, so they can be enjoyed even when not being worn.